Handicapped shower and walk in tub company, Aging Safely Baths announces renewing their annual commitment to the Better Business Bureau. This announcement comes in light of another year in business without any complaints or negative reports to the bureau. We are proud to renew our commitment of quality to our customer and the BBB. Wholesale supplier, Aging Safely Baths announces renewing their annual Better Business Bureau membership. 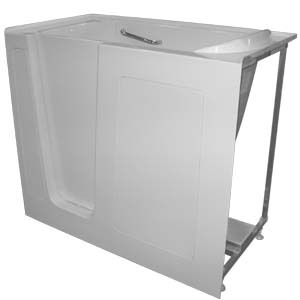 This exceptional resource for elderly tubs and wheelchair accessible showers offers a wide variety of products that are specially designed for the elderly and handicapped. When mobility is a concern, having a low to no step in bathtub or shower may be essential. According the company, offering the best customer service to clients is one the foundations to their business. The BBB is an organization Aging Safely Baths is proud to be a part of and it offers the organization additional support when it comes to managing customer satisfaction rates. It is increasingly popular for homeowners to make modifications and updates to their home in an effort to reduce the probability of a dangerous accident. No home or business is ever really considered perfectly safe as accidents are simply a part of life. However there are resources and technologies available that can attempt and minimizing falls and accidents from occurring. Installing safety grab bars into bathrooms and difficult to maneuver places might be a great start to fall prevention in the home or business. Walk in tubs and low threshold showers can be installed into commercial facilities and residential homes without the requirement of a remodel in most cases. Hydrotherapy also may offer potential therapeutic benefits to some bathers. The use of hydro-therapy is relatively common and has been used for years by cultures all over the world. There are several types of hydrotherapy treatments and the step in tubs offered by Aging Safely have the option of coming with warm air jets or more aggressive whirlpool water jets. 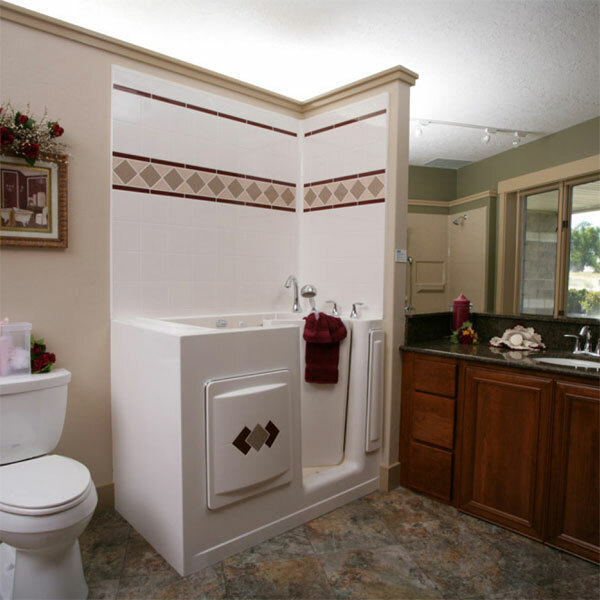 Clients can also select to purchase a walk in tub or handicapped bathtub with dual jetting. As a convenience, some of the jetted appliances even have an auto timer self-cleaning mode to help remove water from the jet lines below the tub. According to the company, they’re expanding their product line very rapidly to help meet the varied demands of the elderly and disabled. 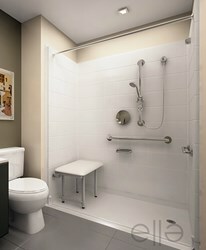 The wide differences in bathrooms, décor and layout is secondary to the special safety needs of each individual bather. 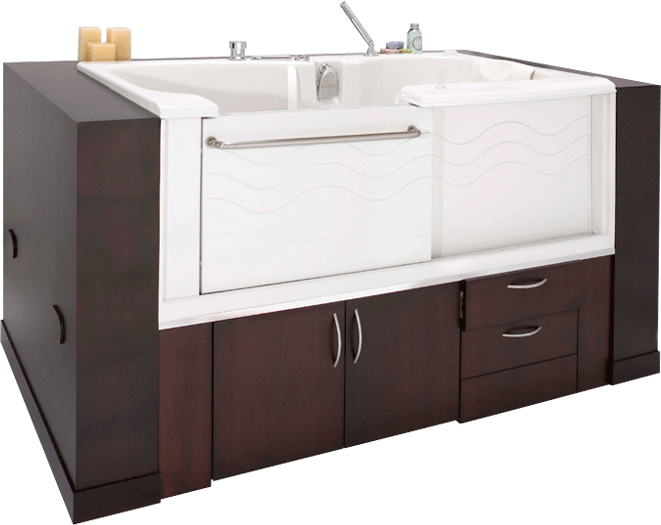 Offering a wide variety of low threshold bathing appliances that fit into large or small spaces helps increase the likelihood of their customers finding the right tub for their needs. Body size is also an essential element in order to select the right handicapped bathtub or shower. Ensuring the bather cannot only easily fit into the appliance, but also utilize their legs and hands enough to enter the tub independently is essential. In some instances when a bather can’t enter a bathtub alone, a care taker may be required to help the bather take a bath. Aging Safely also sells several of the most popular bathtub accessories that are universal to most appliances on the market. Customers can custom order items such as safety grab bars, bath pillow cushions and bathtub lifts. Those interested in further information or a quote are invited to visit http://www.agingsafelybaths.com or contact a customer care representative for a no obligation consultation. The company representatives will assist shoppers in selecting the best walk in tub or handicap shower appliance for their particular needs and application requirements. In addition, for supply only orders clients qualify for no cost freight to deliveries located within the continental United States.